Now that that planting season is winding down in the majority of the territory, it is time to get out in the field see how the crop is progressing. Field scouting should be at the forefront of all of our minds. Let’s just see how well the planter planted, what kind of weed pressure we have, and what kind of stand do we have in the field. 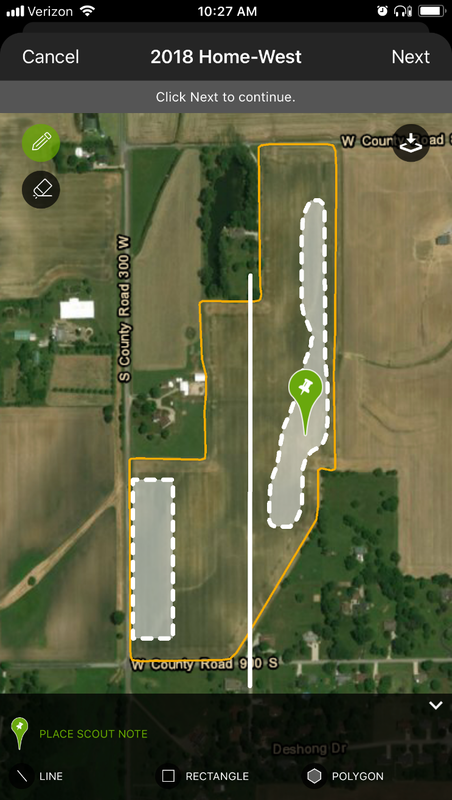 Over the past few weeks, we have released several new and exciting tools to our FARMserver scouting app to help farmers be more efficient with their time in the field. Everything we build in FARMserver is built on feedback from farmers to make the product better. Below are a few of the new tools to help you be more efficient. Hopefully, we do not have to worry about replant this year. 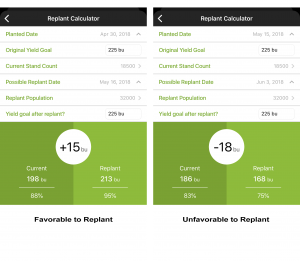 With the season we saw last year, and all of the questions that came in on how to figure out if replanting would be profitable, we decided to help farmers make better decisions quicker with the replant decision calculator. On the FARMserver Scouting App, as part of a scouting note, there is now a replant decision calculator to assist you in making these, at times, very difficult decisions. How does it work?? We start with a couple of questions. 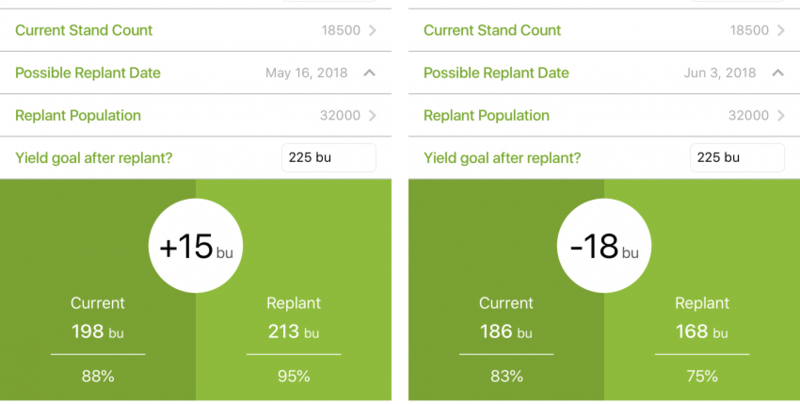 We then calculate the potential what you could expect if you leave the stand as it is and also the potential of what you could expect if you replant. 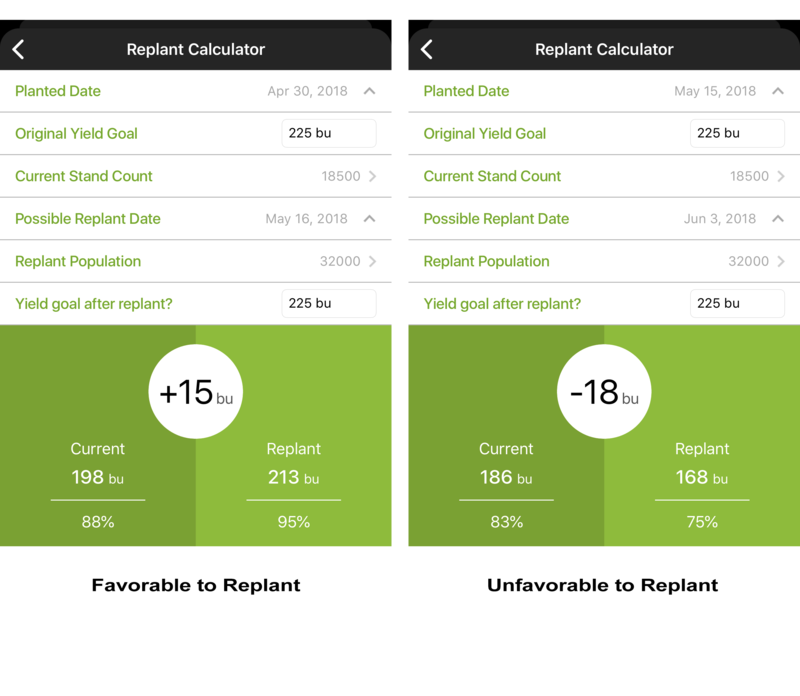 The replant decision calculator will give a +/- bushel per acre you could expect. After you run this calculator be sure to contact your local Beck’s representative and have an additional conversation to make sure you are making the best decision. Line: If you are testing a PFR Proven product, you can make a line on the field map indicating where the product was used or is located. You can also use the line tool to mark a row unit or if a spray nozzle had failed. Rectangles and Polygons: These will be used the most. Showing areas of drown outs, replants, weeds, and insects. Once a shape is drawn on a field, you can then add notes to the shapes. The new updates also allow you to add multiple scouting notes at the same time. All of this information will be saved for you to look back and reference throughout the year. To learn more about FARMserver please visit www.FARMserver.com. Remember FARMserver is 100% free to all Beck’s corn and soybean customers. Check out the FARMserver iOS app on your iPhone or iPad at the Apple App Store.